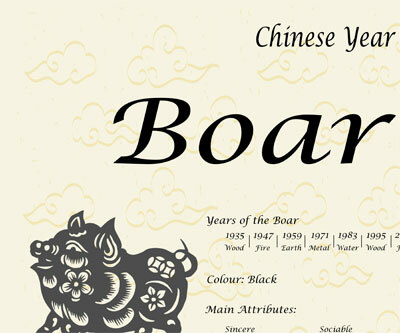 Years of the Chinese Zodiac Boar: 1935 – 1947 – 1959 – 1971 – 1983 – 1995 – 2007 – 2019. 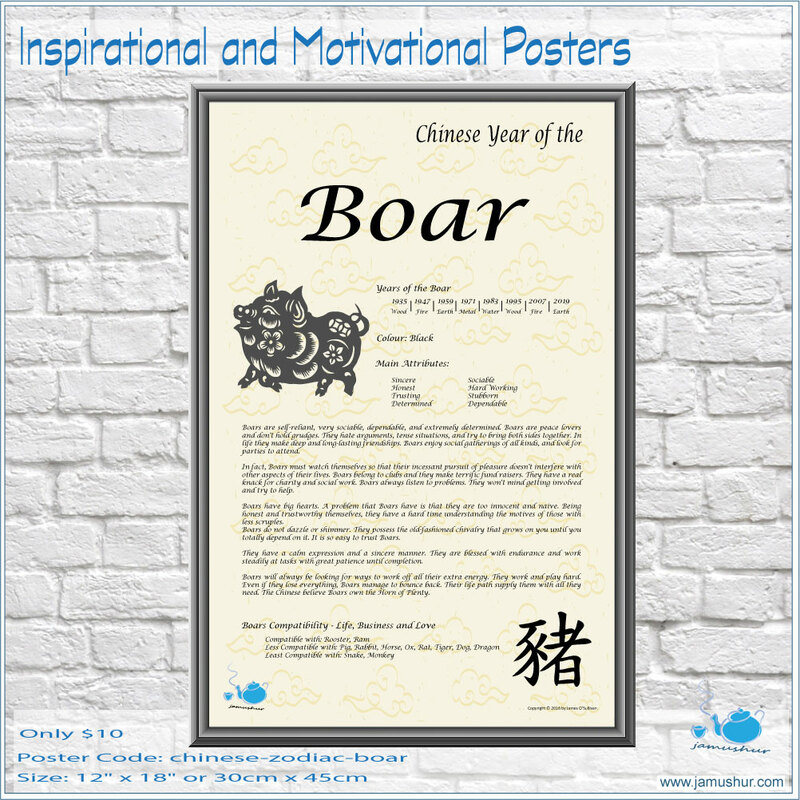 Boars are self-reliant, very sociable, dependable, and extremely determined. Boars are peace lovers and don’t hold grudges. They hate arguments, tense situations, and try to bring both sides together. In life they make deep and long-lasting friendships. Boars enjoy social gatherings of all kinds, and look for parties to attend. 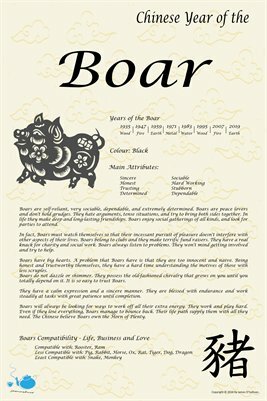 In fact, Boars must watch themselves so that their incessant pursuit of pleasure doesn’t interfere with other aspects of their lives. Boars belong to clubs and they make terrific fund raisers. They have a real knack for charity and social work. Boars always listen to problems. They won’t mind getting involved and try to help. Boars have big hearts. A problem that Boars have is that they are too innocent and naive. Being honest and trustworthy themselves, they have a hard time understanding the motives of those with less scruples. Boars do not dazzle or shimmer. They possess the old-fashioned chivalry that grows on you until you totally depend on it. It is so easy to trust Boars. They have a calm expression and a sincere manner. They are blessed with endurance and work steadily at tasks with great patience until completion. Boars will always be looking for ways to work off all their extra energy. They work and play hard. Even if they lose everything, Boars manage to bounce back. Their life path supply them with all they need. The Chinese believe Boars own the Horn of Plenty.